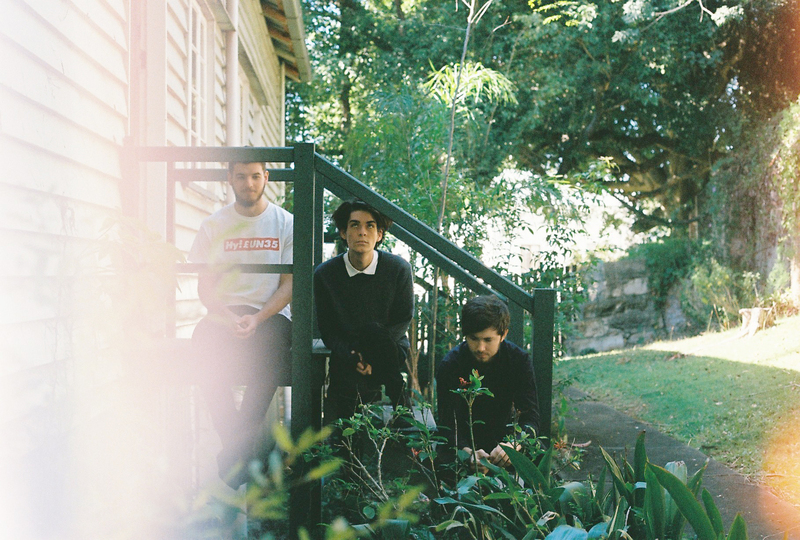 Get to know Landings, a three piece from Brisbane who’ve just released a very pop new single called ‘Start Again’. 01. Band name : Landings. 02. Where are you based? Brisbane. 03. How did you choose your band name? I wish there was some kind of great story behind our name, but Liam came up with it of nowhere and we just kinda went with it. 04. What’s your biggest claim to fame so far? I don’t know if there’s any fame we can claim, but we’ve played with some of our favorite Aussie bands, and those shows have been some big highlights for us. Supporting Last Dinosaurs was a really special one in particular, since we all grew up listening to them and had seen them live around eight million times each. 05. Who are your members? Liam’s on vocals and guitar, Aidan on synths and bass and Mike on drums. 06. How was the band formed? The three of us had been playing together in each others’ bands, Lucha Libre and Tremors, and as they started to slow down, we’d been writing more songs together than ever, so we decided to turn it into a new project. I don’t think there was really a moment when the band was formed, it all happened pretty naturally coming out of those other projects. 07. In what ways has the band changed from when it was formed to today? We haven’t even been releasing music under the name Landings for a year, so I’m not sure how many huge changes there have been in that time, but we’ve definitely changed a lot since we first started making music together. I guess we’re just getting more confident in our songwriting and production. 08. Tell us a little bit about your sound. We aim to make songs that are kinda sad, but you can also dance to them. Early Two Door, new Phoenix and everything ever by The Strokes come up as influences quite a bit, so I guess we’re trying to do our own thing with that sort of sound. 09. What are your members’ favourite songs of all time? Favourite song of all time is a tough call to make, but Mike’s is ‘Sixteen’ by Bombay Bicycle Club, Aidan’s is ‘Reptilia’ by The Strokes and Liam’s is the all time karaoke banger ‘Let Me Love You’ by Mario. 10. Tell us about your latest release. Our latest release is ‘Start Again’, a track we’ve been working on since the beginning of the year. We worked with JP Fung, a producer from Sydney, who we worked with on our debut single. He brought a lot to the sound, and can mix like no one else on the planet. It’s probably the poppiest track we’ll ever make as a band, but we can’t say we didn’t enjoy writing it that way. 11. What do your future plans involve? A lot more writing and a lot more gigging. We really want to get even further into self-producing, which we’ve already been doing a decent amount of. We should have our next single our really early next year which is super exciting for us to be getting right back into it, since making ‘Start Again’ ended up being such a long process. 12. Where can our audience catch you live? We just launched ‘Start Again’ but we’ve got a few nice local supports coming up before the end of the year, which I’m not too sure if we can go into detail of yet.